L. Thomas Body Shop & Towing Inc.
L. Thomas Body Shop & Towing has been serving south-western Pennsylvania since 1946. 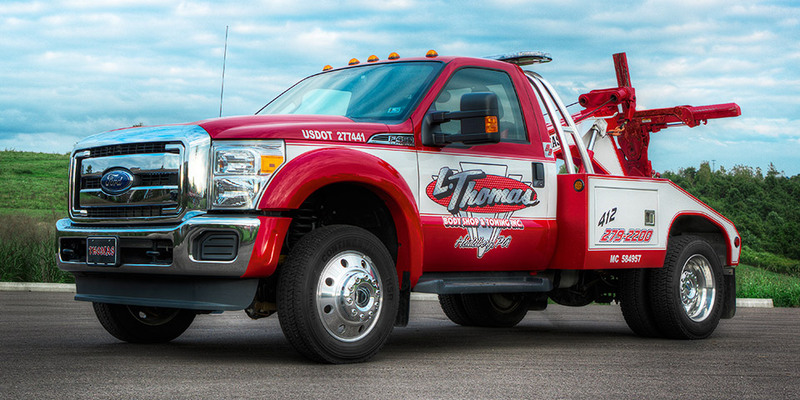 With a full-service body shop, experienced tow truck drivers and friendly dispatch staff, L. Thomas guarantees prompt, honest and professional service every step of the way. Call or email L. Thomas with a brief description of your needs. We will provide a quote based on your request. © 2019 L. Thomas Body Shop & Towing Inc.